Sediments are fundamental resources for productive activities like plant nursing, which are also likely to be responsible of their loss. In contrast, other activities like the dredging of canals and waterways involve the extraction and continuous accumulation of sediments. Most dredged sediments are polluted, and need to be stocked and transported to landfills, with extremely high costs for transport and management. To address these problems, a low-cost remediation methodology was previously developed to decontaminate sediments which were tested for use in plant nursery field plantations located in Pistoia (Italy). The phytoremediated sediments were mixed in percentages of 33% and 50% with alluvial soil, which itself was used as control. We studied the characteristics of these mixtures, and the physiological response and growth of Viburnum tinus L. grown on each substrate, as well as its corresponding root ball. Substrates with sediments showed quick water infiltration and no waterlogging, in sharp contrast to what was observed in autumn in the control. Despite a rainy summer, V. tinus demonstrated a good acclimation to the different substrates, showing the lowest leaf water potentials in mixed substrates and no signs of stress. No differences in leaf carbon assimilation or transpiration were observed among substrates, while in late August plants grown on substrates with sediments showed a higher performance index for energy conservation from photons absorbed by PSII to the reduction of intersystem electron acceptors. In the 50% mixture, there was also an enhancement of electron transport from PSII to PSI. Moreover, no differences in growth and biomass were found. Plants in all substrates showed some thin-root mortality, likely due to the persistent rainfall, though a higher number of plants with dead roots was observed in control. Thanks to the dense and fibrous root apparatus of V. tinus, the mixture with 33% sediments produced satisfactory results even for the root ball, resulting in less deformation and a lower breakage percentage. Creating the urban forest: the bare root method. Cornell University, Ithaca, NY, USA, pp. 16. Transplanting success of balled and burlapped versus bare-root trees in the urban landscape. Journal of Arboriculture 26 (6): 298-308. The challenge of Mediterranean sclerophyllous vegetation under climate change: from acclimation to adaptation. Environmental and Experimental Botany 103: 80-98. Development of branching index for evaluation of peach seedlings using interspecific hybrids. Hortscience 45: 852-856. Chapter 7: site assessment and soil improvement. FOR 96, School of Forest Resources and Conservation Department, UF/ IFAS Extension, Gainesville, FL, USA, pp. 20. RF thermal plasma treatment of dredged sediments: vitrification and silicon extraction. Journal of Physics: Conference Series 406: 012039. Quantifying root system quality of nursery seedlings and relationship to outplanting performance. New Forests 30: 295-311. Multiple feedbacks between chloroplast and whole plant in the context of plant adaptation and acclimation to the environment. Philosophical Transaction of the Royal Society B 369: 20130244. Decontamination and functional reclamation of dredged brackish sediments. Biodegradation 24: 499-512. Heavy metal distribution in a sediment phytoremediation system at pilot scale. Ecological Engineering 81: 146-157. Field nursery production. University of Kentucky, Lexington, KY, USA, pp. 5. 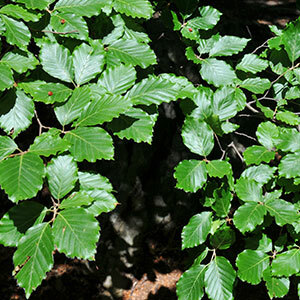 Evaluation of different shrub species for carbon uptake and pollution removal. ISA, Toronto, Canada, pp. 11. Selecting quality trees from the nursery. ENG 1060, Urban Forest Hurricane Recovery Program series, School of Forest Resources and Conservation and the Environmental Horticulture Department, UF/ IFAS Extension, Gainesville, FL, USA, pp. 8. Tree planting fundamentals. Journal of Arboriculture 19 (2): 64-70. Production method affects growth and post-transplant establishment of “East Palatka” Holly. Journal of American Society for Horticultural Science 118 (2): 194-200. Techniques of propagation by cuttings. In: “Hartmann and Kester’s plant propagation: principles and practices (8th edn)” (Davies FT, Geneve RL, Kester DE eds). Pearson Education Inc., Prentice Hall, NJ, USA, pp. 344-415. Harvest method has no influence on growth of transplanted green ash. Journal of Arboriculture 19 (6): 379-382. Seasonal course of xylem sap tension. Ecology 51: 1052-1056. Agricultural reuse of polluted dredged sediments: the AGRIPORT European project. In: Proceedings of the “IWA - XII International Conference of Wetland System for Water Pollution Control” (Bresciani R, Zanieri L eds). Venezia (Italy) 4-7 Oct 2010. Palombi Editori, Roma, Italy, pp. 472-479. Particle size analysis by a modified pipette procedure. Journal of American Soil Science Society 54: 560-563. Survival and growth factors affecting community-planted urban street trees. Cities and the Environment 4 (1), Article 10, pp. 16. Effects of transplanting on the growth and survival of nursery stock. HortScience 43 (4): 1239-1239. Relationship between photosystem II activity and CO2 fixation in leaves. Physiologia Plantarum 86: 180-187. Control of water balance in transplanted trees. Journal of Arboriculture 1: 1-10. Innovative technique to recover contaminate driver sediments (CLEANSED LIFE 12ENV/IT/000652). In: Proceedings of the “15th International Waste Management and Landfill Symposium, Sardinia 2015” (Cossu R, He P, Kjeldsen P, Matsufuji Y, Reinhart D, Stegmann R eds). S. Margherita di Pula (CA, Italy), 5-9 Oct 2015. CISA Publisher, Cagliari, Italy, pp. 477. A review of the effects of stresses between lifting and planting on nursery stock quality and performance. New forests 13: 369-399. Storage duration and temperature effect on the functional integrity of container and bare root Pinus radiata D. Don stock-types. Trees 15: 289-296. Photoinhibition of photosystem II under environmental stress. Biochimica et Biophysica Acta (BBA) - Bioenergetics 1767 (6): 414-421. The river Elbe. Journal of Soils and Sediments 2 (3): 112-116. Drought stress effects on photosystem I content and photosystem II thermotolerance analyzed using Chl a fluorescence kinetics in barley varieties differing in their drought tolerance. Physiologia Plantarum 137: 188-199. Quercus ilex facing water stress: a functional equilibrium hypothesis. Plant Ecology 99-100 (1): 147-153. Saturated and field-saturated water flow parameters. In: “Methods of Soil Analysis, Part 4. Physical Methods” (Dane J, Topp C eds). SSSA, Madison, WI, USA, pp. 797-878. Salomons W, Brils J (2004) Contaminated sediments in European river basins. Project Report, EU Project EVK1-CT-2001-20002, TNO, The Netherlands, pp. 47. The fluorescence transient as a tool to characterize and screen photosynthetic samples. In: “Probing Photosynthesis: Mechanisms, Regulation and Adaptation” (Yunus M, Pathre U, Mohanty P eds). Taylor and Francis, London, UK, pp. 445-483. Analysis of the chlorophyll a fluorescence transient. In: “Advances in photosynthesis and respiration series. Chlorophyll fluorescence: A signature of photosynthesis” (Papageorgiou GC, Govindjee eds). Springer, Dordrecht, Netherlands, pp. 321-362. Tree establishment: a review of some of the factors affecting transplant survival and establishment. Arboriculture and Urban Forestry 35 (1): 10-13. Another future for hydro ways sediments. In: Proceedings of the “15th International Waste Management and Landfill Symposium, Sardinia 2015” (Cossu R, He P, Kjeldsen P, Matsufuji Y, Reinhart D, Stegmann R eds). S. Margherita di Pula (CA, Italy), 5-9 Oct 2015. CISA Publisher, Cagliari, Italy, pp. 477. Modulation of photosynthesis by drought in two desert scrub species exhibiting C3-mode CO2 assimilation. Environmental and Experimental Botany 61: 124-136. Principles and practice of planting trees and shrubs. International Society of Arboriculture, Champaign, IL, USA, pp. 200. Tree selection: right plant, right place. CMG GardenNotes no. 632, Colorado State University Extension, CO, USA, pp. 10. A unique technique for street tree planting in Beijing. Arboricultural Journal 27 (1): 1-10.